Last week was our final week of Italian language school in Sorrento. We decided to stay on a few days longer as our study limited our time to explore and linger over meals. The extra time has given us the opportunity to try some local restaurants. First, Inn Bufalito in Sorrento. This stylish and friendly restaurant specialises in meals based on the local water buffalo. We had excellent antipasti of buffalo milk cheese, buffalo salami and buffalo pepperoni. 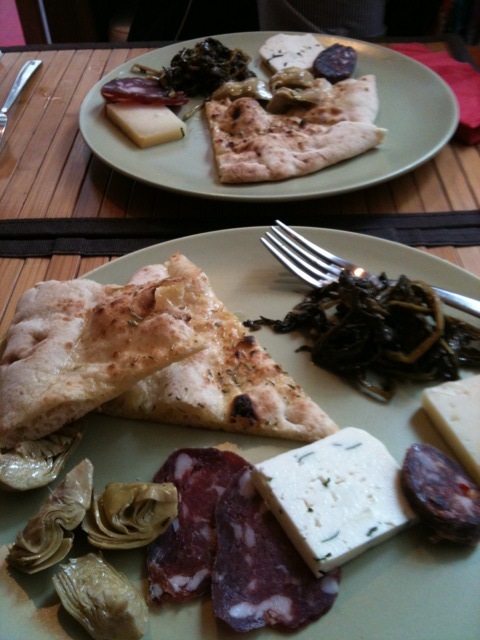 This was accompanied by a lovely sharp pecorino (sheep) cheese, broccoli greens, marinated artichoke hearts and foccacia. 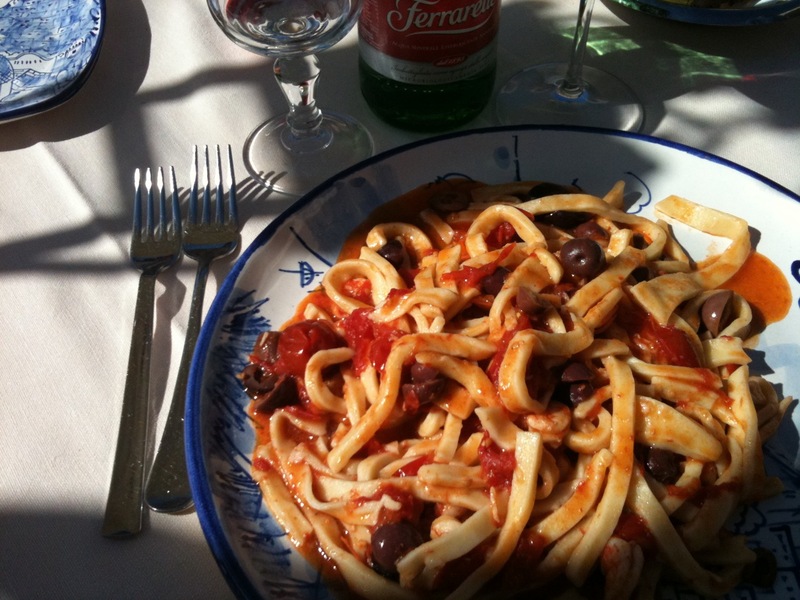 The antipasti would have sufficed for lunch, but we had already ordered a main course of pasta each. One dish was a buffalo ragu served over pacchero pasta. The second was fusilli con zucca e salsice, pumpkin and sausage. Wisely, we refused desert offers and had a macchiato each. 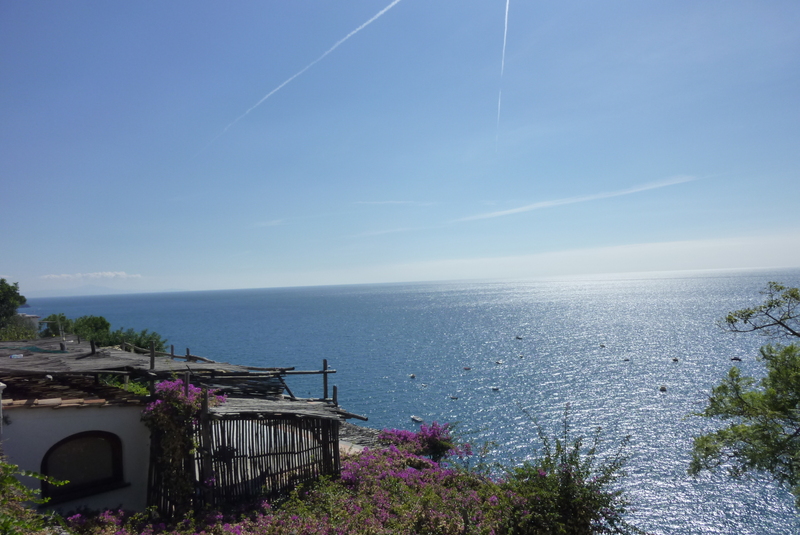 As if the scenery on boat ride to Positano weren’t enough, we were also treated to a stunning view over the Mare Tirrenia from Ristorante Bruno along the via Cristofo Colombo. It was the 1oth of October so we toasted Italy and Chris Columbus with a glass of local red and a plate of scialatielli, a local hand cut pasta. Mine was dressed with lovely little prawns, black olives and a fresh tomato sauce. 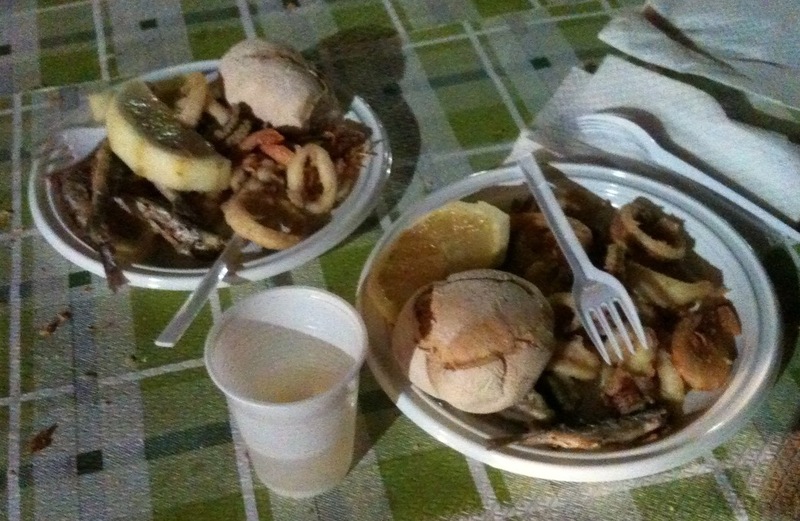 A final bliss point has to be the Frittura de Pesce that we ate at the Feste Sagra del Pesce (festival for the blessing of the fish). A feather-light batter on rings and tentacles of squid, sardines about the size of my middle finger, prawns with crunchy tails, a giant chunk of lemon (Sorrentine lemons are fabulously juicy), a crunchy roll and a cup of wine. All for 5 Euros!